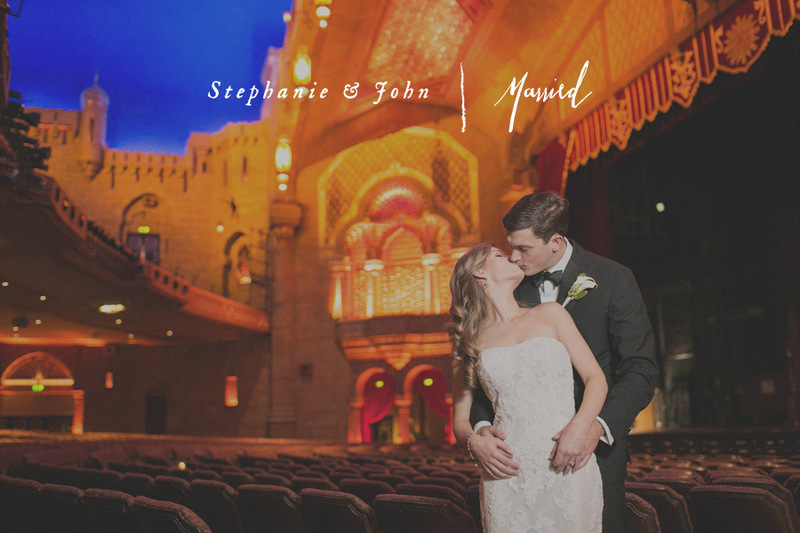 What an amazing Fox Theatre wedding we had with Stephanie and John – one of our favorite places in Atlanta. I got to know Stephanie and John last fall when we got to shoot some engagement portraits and I have been looking forward to meeting their friends and family since then. They met during their time together at Georgia Tech and they have the kind of close friendships that a large community of great friends engenders. If they could have had their dog in the wedding, they would have – they are big dog people. 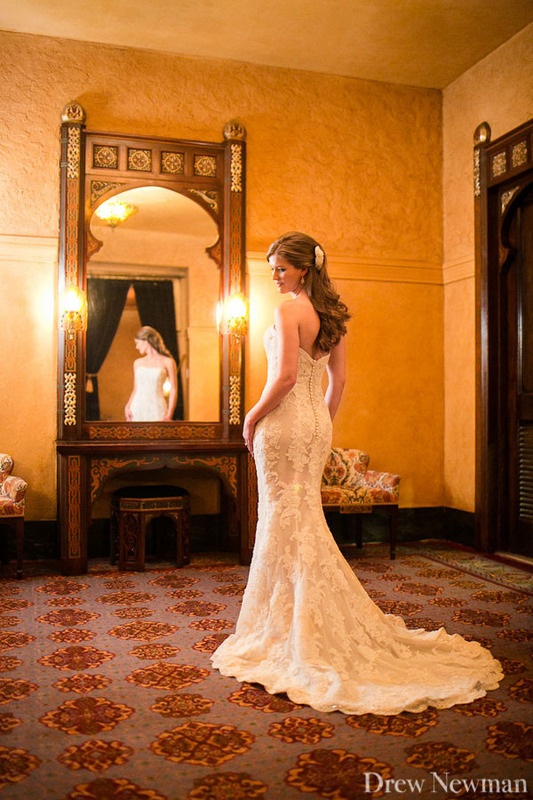 Their wedding was in the Fox’s Grand Salon and the reception moved to the Egyptian Ballroom after cocktails at twilight out on the patio. Stephanie incorporated a good deal of Etsy-sense into her decor plan and even found a custom yellowjacket bride and groom cake topper. 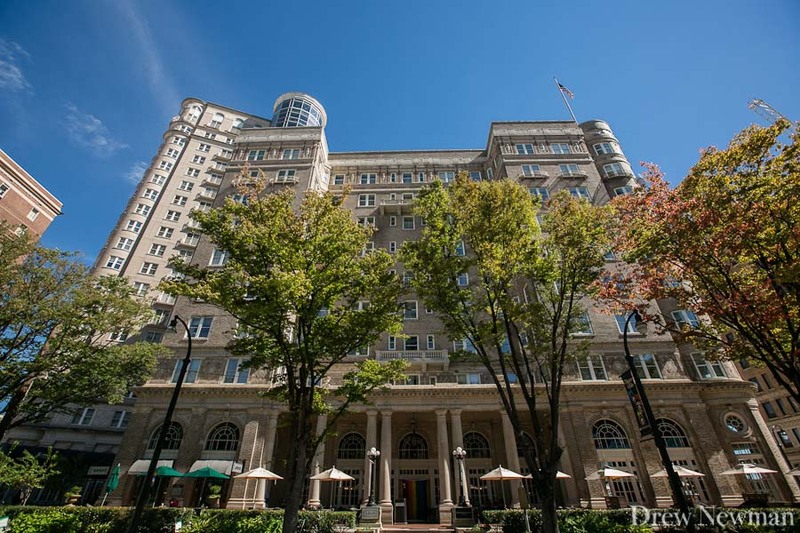 Heather and Eva from Tulip delivered amazing décor and Affairs to Remember pulled everything together beautifully. Special thanks to Jim Lane for making things easy during our time at the Fox. Congratulations to you both!